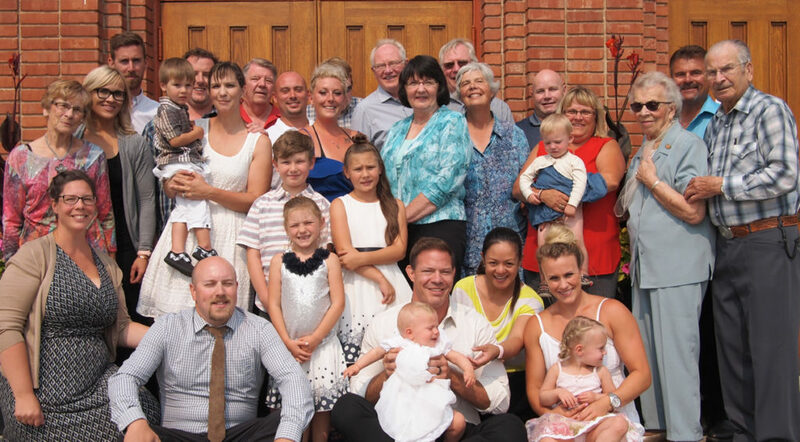 The Harris’ and extended families celebrating a family Baptism, August 2017. Terry and Eileen (wife) have been married for 34 years; both have lived in Edmonton for more than 45 years. Terry’s family roots are deep in Ward 71. Descended from original homesteaders in northwest Edmonton (Georges Gagnon), Terry’s family members lived in the area for generations. Terry was born and baptized in Ward 71 (Inglewood neighbourhood and St. Andrew Parish). Eileen is a retired RN Nurse Practitioner, who worked her career in pediatric oncology at the Cross Cancer Institute and the Stollery Children’s Hospital. Eileen and Terry’s children attended Edmonton Catholic schools from K-12. Terry has served for many years as a Lector. 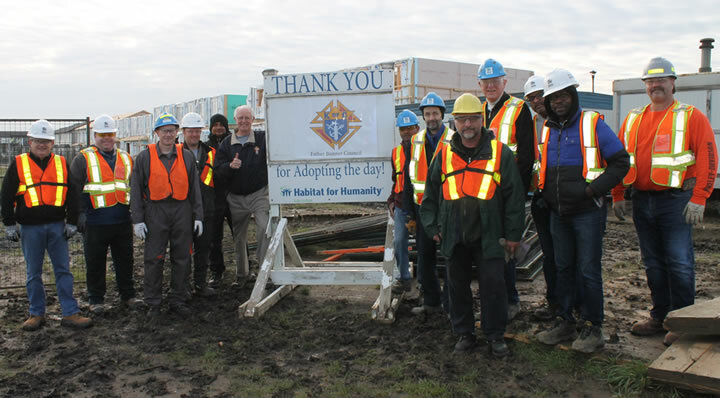 Terry is a member of the Knights of Columbus (active in the charitable works of the Knights: Christmas Hamper Drive with son Kevin, Habitat for Humanity builds, various philanthropic initiatives). Through his career, Terry’s positions have ranged across the spectrum: union member, manager, executive and board member. Terry was employed with Edmonton Catholic Schools in human resource administration for nearly 10 years and understands the unique culture of ECS and the dedication of its teachers, staff and administration. Following that, he held various senior management positions in both the public and private sectors including Education, Healthcare, Advanced Education, and Advanced Technology. Terry also served as the Director of Board Governance and Ethics for the University of Alberta School of Business, Executive Education. For the last fifteen years, Terry has been President of Vantage Alliance Inc. and a Certified Management Consultant (CMC): Terry is a trusted advisor/facilitator with public, private and “not for profit” organizations. He supports them in their strategic and human resource planning, especially in the development of their next generation of leaders. Catholic Social Services as a Board member, Finance Committee member and Past Board Chair. Edmonton Catholic Schools Foundation as Board member and Board Secretary. Skills Canada Alberta as a Board member and former Chair of the Audit and Finance Committee. Bent Arrow Society as a Board member. Autism Edmonton as a member, Board member, Treasurer and Chair. Autism Society of Alberta as a Board member. Edmonton Chamber of Commerce as a member of various committees including the Smart City Task Force and the Labour Relations Committee. Human Resources Institute of Alberta as a current and Founding member. Canadian Institute of Management Consultants as a member. Institute of Corporate Directors as a member. Habitat for Humanity Build, September 2017.